This is one of the best mascaras I've ever tried! The name is a little awkward but the results are fantastic. I have never been able to achieve such great lashes with only a mascara and no primer before! I've been wanting to watching Legally Blonde for awhile now since I saw the above quote. 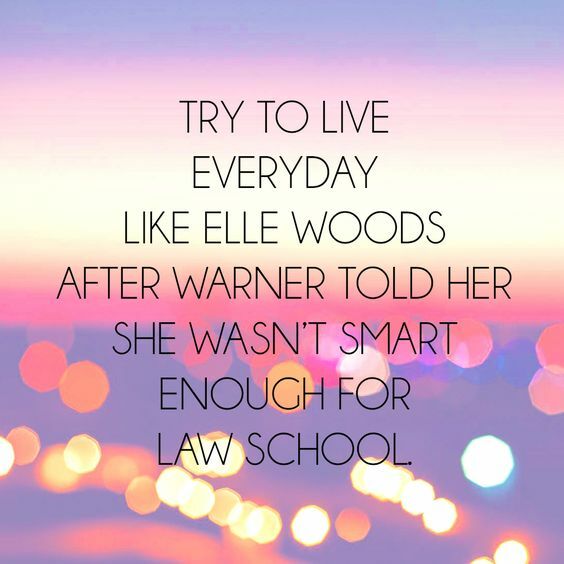 I have always thought that Legally Blonde and Elle Woods character was very inspiring and I'm glad the world seems to be jumping on board. As someone who has grown up blonde and often treated like I'm not as smart as I am, Elle has always been an inspiration. I have been on a s'mores kick lately and I need to back off before I weigh a million pounds. Making them in the microwave is way too easy!